For as long as I can remember I have been told that "All good things come to those who wait" Do they, or should you get off your backside and go and get them yourself? Looking back over my life so far I have spent a depressing amount of time waiting for something or other. I don't mean buses, or delivery men, although I've done that too! I mean waiting for something to get better or something to happen. Today I have finally finished making my 101 in 1001 list, (to see the whole list and find out what the hell I'm going on about click here) it's been much harder than I originally anticipated! 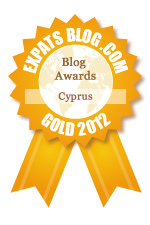 The start date of my list was July 29th 2010, which was the day I got our Cypriot Residency forms completed. This means that the 1001 days will be up on April 26th 2013. Sounds like a long way away doesn't it, I wonder how many I'll get done with no panic at the end! What things would you put on your list if you had one? Leave me a comment and let me know, I'd love to see what others would like to do. When I was 18 my parents gave me a brilliant party, it was held at my local rugby club where I was spending a lot of my time at that point. I had lots of friends there but I was most excited to have my boyfriend there. When we got the photos back (I love my digital camera but I do miss the excitement of picking up a packet of photos) I absolutely loved this one. 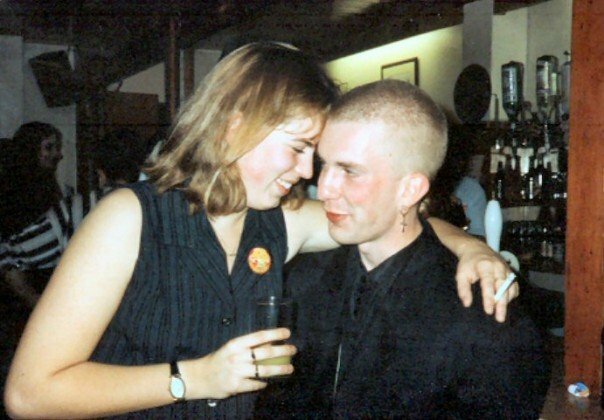 Some years later in conversation I mentioned the picture and he laughed and said he was just looking at me and trying to get me off him as I was so drunk and falling on him! I was quite upset about it at the time as it was not how I had imagined it at all! Woo hoo! I got my first ever award! It was passed onto me by Marie at The Things We Find Inside. To accept the award I have to link back to her blog and pass it on to 10 other bloggers. And not forgetting..... here is my award. This weeks Gallery was quite a tricky one for me, I love a celebration and that combined with my photo obsession meant I had a lot to choose from. 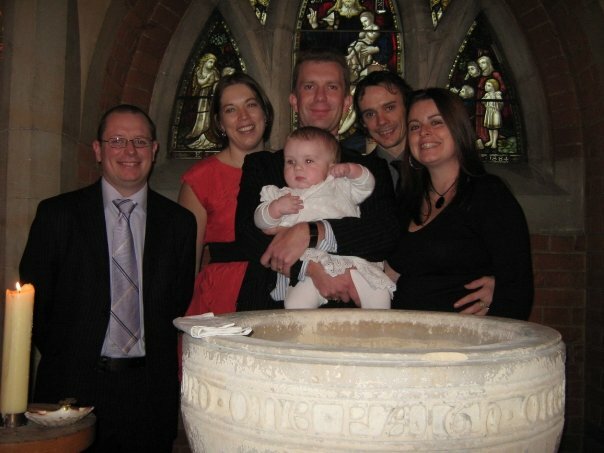 Eventually I decided to choose some pictures from Leo's Christening, which was also our leaving party as it was two days before we left for Cyprus. Leo's godparents are some of our very best friends. My oldest friend Nicola - we went to playschool together and have been best of friends ever since,and her husband Roy - love him to bits too, we've had a great love-hate relationship for years (I love to hate him!) which I've just ruined by telling the world I love him really! Our brilliant friend Martin, who we've known a much shorter time but long enough to know that we will always be good friends regardless of where we live - him and AJ are very similar and we all get on like a house on fire. It is 9pm on the 8th September and we are in the "Goldilocks Zone" AJ has said several times this year that there is no pleasing me when it comes to the weather, I think it's too cold, too hot, too wet etc.. Well I tonight whilst sitting on the balcony I suddenly announced that I was a perfect temperature! He replied with "Not too hot, not too cold" hence the title of this post. Before my UK trip I would sit outside after a shower and be drenched in sweat in minutes, I realised this evening that after a pleasantly hot but not too sweaty day that I was exactly the right temperature for the first time in ages. The theme of this weeks Gallery is One Day in August. The day was Sunday 29th August, it was AJ's first day off since we got back from England and we took Leo to our favourite pool. It was the first time Leo understood the point of armbands and was happily running up and down in the water for ages. Each time previously he'd been too busy trying to get them off to realise that it meant he could walk around unaided without going under. 1.What do you do when you have time to yourself? I would say read, as I love reading but in reality I'm more likely to be on the internet, blogging or nosing around on Facebook. Also as often as I get the chance I'm likely to be sleeping, whether it's an early night or a sneaky nap with Leo - I don't like the fact I want to sleep so much, there is better things I could be doing but hopefully one day I'll be able to do my sleeping all night again without getting up so much! 2.When you look out of your kitchen window what do you see? Technically I don't have a kitchen window, but we do have triple patio doors from our kitchen/living room and from these you can see fields running pretty much to the sea along with the hotels in the abandoned town of Varosha,,I've blogged about it before here. 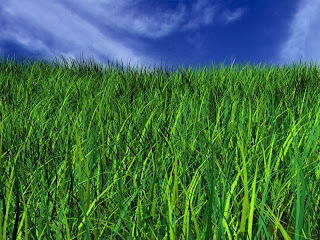 Is the grass ever greener on the other side? 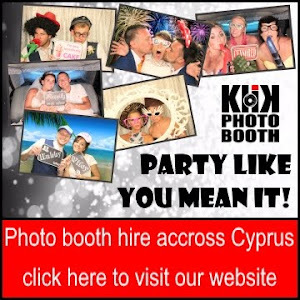 "The grass may be greener on the other side, but you still have to mow it"
It's very true, many people move to Cyprus (and other places) thinking that life will be suddenly great, that they will leave all their worries behind and the sun alone will make everything perfect. It is also true that a living in Cyprus doesn't work out for lots of people, I think often for this very reason. We never expected to be living like that, we knew with AJ at work and me looking after Leo that it wasn't going to be an option, we have bills to pay, household chores to do and general daily living like anybody else with a mortgage and a 1 year old.